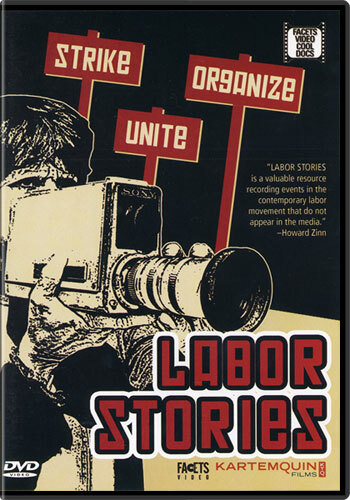 Following the epic struggles of three separate unions, this anthology includes three of Kartemquin’s classic labor films from 1975. The collection not only serves as an important cultural artifact, but continues to move and inform while carrying on the time-honored tradition of using the camera as a force for social change. These films not only allowed the workers and their unions to tell their compelling stories but they also affected the course of events for each union. HSA Strike - 75 documents a group of doctors who strike for the right to unionize at Chicago's Cook County Hospital. U.E. Wells captures the United Electrical Workers' efforts to organize a cast-iron foundry. Finally, What's Happening at Local 70 follows the experiences of unemployment compensation workers who strike because of working conditions.